The Opera web browser from Opera Software ASA supports tab muting as of Opera 35. Jumping sound levels display over the favicon in a browser tab as a sound indicator when audio is playing in that tab. Mouse over the tab, and the favicon is replaced by a speaker icon. 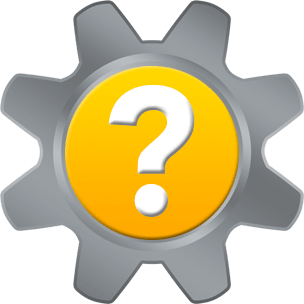 There is no need to mute your entire system sound by tapping the Mute button on your keyboard, or by clicking the Speakers icon in your system tray. Users can mute unwanted sound originating from a tab — if they know how to mute tabs in Opera. When the speaker icon is present in an Opera tab, single-click on the speaker icon in the tab itself to mute audio in that tab. You may also right-click on the tab, and select Mute tab from the right-click menu. With the tab muted, the sound level indicator no longer jumps. To unmute audio in the tab, single-click on the speaker icon, or right-click on the tab and choose Unmute tab from the right-click menu. The option to Mute and Unmute tabs is present in the right-click menu regardless if there is audio playing or not. 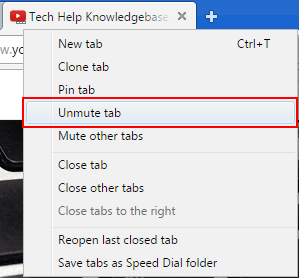 This is a handy, preemptive way to mute the audio in a tab. 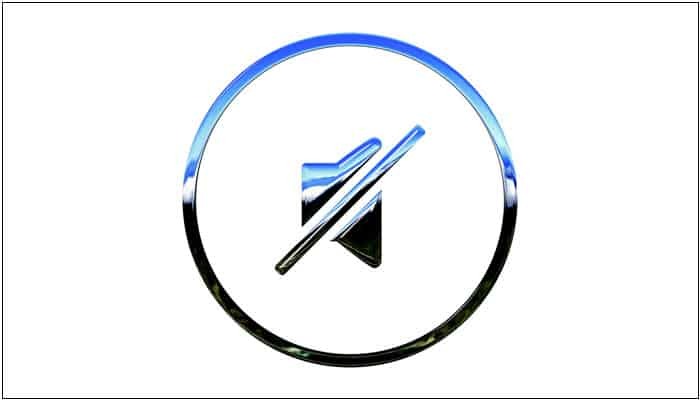 If a user selects to mute a tab where no audio is playing, and no audio indicator is present, the mute icon does not display. It is important to note that a tab remains muted even when you change locations within that tab. Keep an eye on the audio indicator if you expect to hear audio, but don’t. 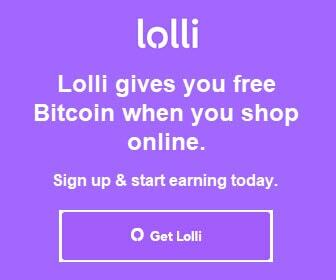 It may be that a tab you muted has remained muted as you navigate to another location. To mute sound in all open tabs, right-click on any tab and select Mute other tabs. To undo the bulk mute, return to the original tab, and select Unmute other tabs from the right-click menu. 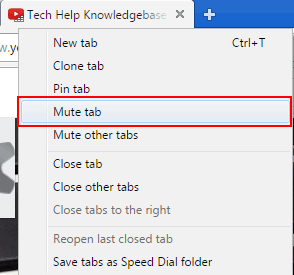 Thank you for visiting Tech Help Knowledgebase to learn how to mute tabs in Opera browser.